Ice melt products attract moisture to themselves to form a liquid brine which generates heat and melts ice. The product must reach the pavement to become effective. Once on the pavement, the brine can spread out and break the bond the ice has with the pavement. As the ice is loosened, it can more easily be shoveled away. Calcium Chloride - This is traditional ice melt. It will melt ice to temperatures of -25 F. It gives off heat as it dissolves which melts the ice quicker but leaves a slimy residue. It is corrosive to metal and can be damaging to vegetation if over-applied. Magnesium chloride is a very similar product and becoming more popular. It is less corrosive and safer on concrete and plants. Sodium Chloride (rock salt) - Rock salt is the least expensive and very efficient. Will melt ice to temperatures of 20 F. Effective at drying out icy surfaces. Not as harmful to concrete as other products but can be damaging to vegetation and is corrosive to metal. Potassium Chloride - Is more expensive than other products. Works well when mixed 50/50 with rock salt. Will melt ice to temperatures of 12 F. Relatively safe but can still cause plant injury if over-applied. Urea - Commonly used as a fertilizer but is also an effective ice melter. Will melt ice to temperatures of 15 F. Over application can harm vegetation. Calcium Magnesium Acetate (CMA) - Is made from dolomitic limestone and acetic acid (main compound in vinegar). It has little effect on plants and concrete, but it's performance decreases at temperatures below 20 F. It works differently than other materials in that it does not form a brine like salts. CMA helps prevent snow particles from sticking to each other on the road surface. It prevents re-freezing more than it melts ice and tends to leave a slush. Damage to concrete occurs not from the effects of the salt but the effects of the freezing point of water. When the freezing point of water is lowered (by creating a brine), the number of freeze/thaw cycles increases and the expansion of freezing water (hydraulic pressure) can exceed the strengths of concrete. 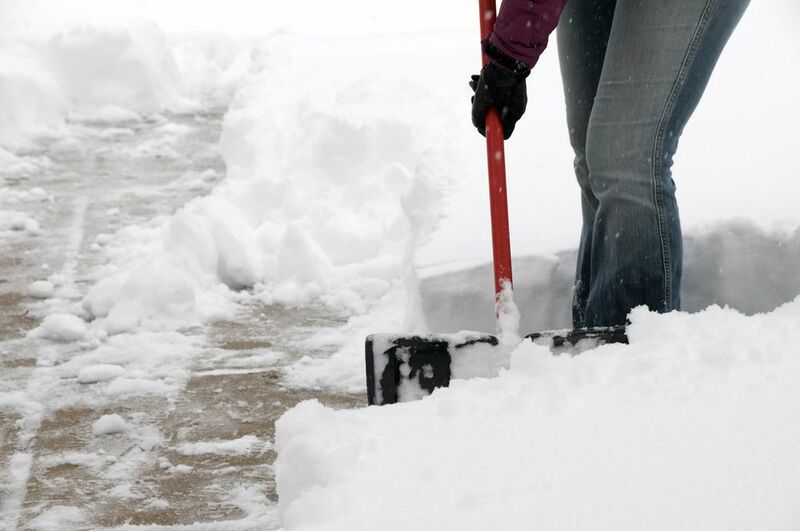 Other, more natural, products can be used to treat icy sidewalks and driveways. Although they are less effective, they pose less harm to the environment and pets. Natural alternatives like sand, sawdust, wood shavings, and kitty litter are mainly effective for their gritty, anti-slip qualities. They provide better traction to walk on the ice but do not melt ice. They are often mixed with ice melt products as a way to use fewer chemicals. There is a product called Magic Minus Zero which is a liquid de-icing agent made from a blend of magnesium chloride combined with an agricultural by-product of the distilling process. It is non-toxic, biodegradable and has a corrosion index lower than distilled water. Magic Minus Zero can be applied directly to paved surfaces in advance of a winter storm or can be sprayed onto regular rock salt.